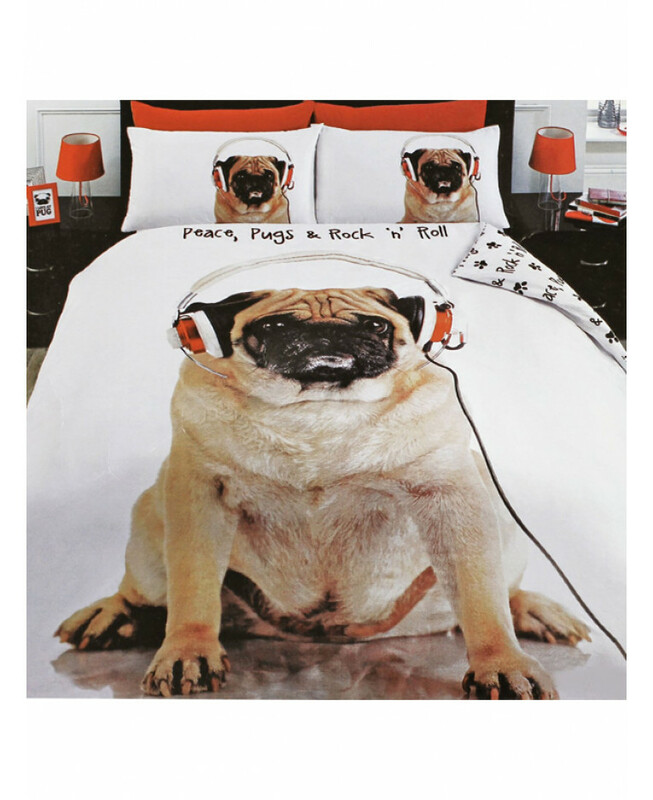 This eye catching Rock n Roll Pug photographic print bedding set will add a unique and quirky touch to any bedroom. 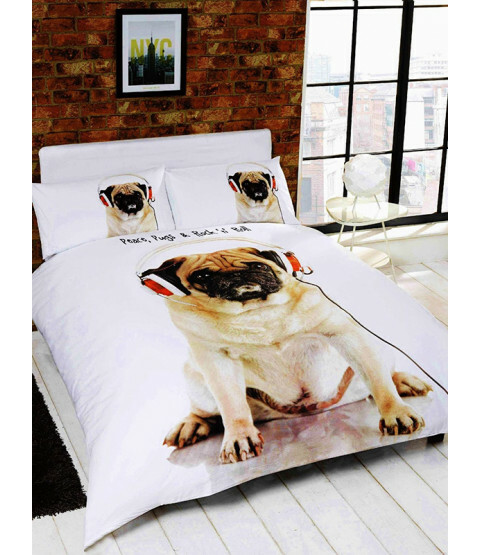 Created using the very latest in print technology, the design features a cute image of an adorable pug in headphones that has been carefully printed onto soft, easycare fabric. 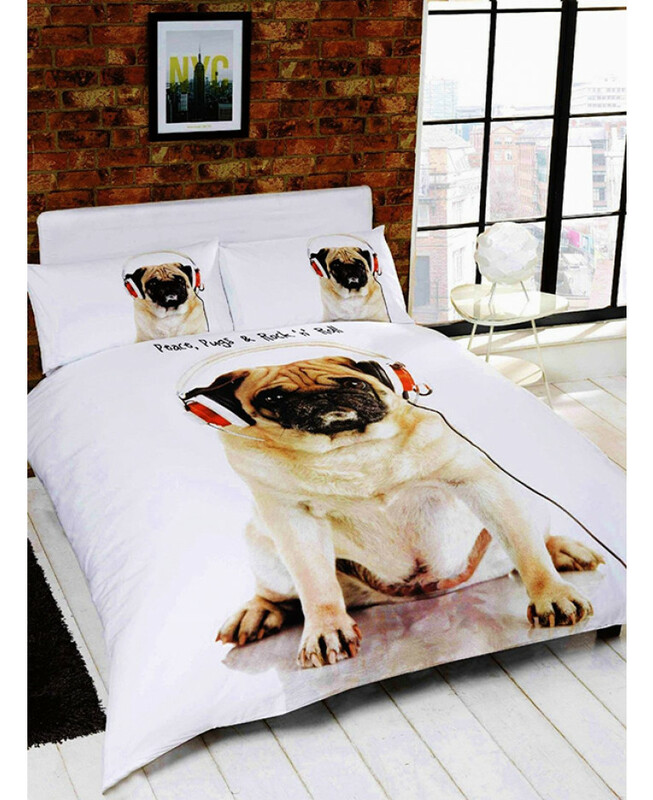 The words Peace, Pugs & Rock n Roll feature above the image and also on the reverse of the duvet in a repeat pattern with a funky paw print design. This duvet cover is suitable for machine washing and tumble drying on a low setting.